Lock in a great price for Hostal Arriaza – rated 8 by recent guests! The hostal is in front to Real Palace and near to historical center. It’s near to Subway station with easy access to other monuments, places, market and restaurants. This was clean, bathroom renovated and comfortable. The reception was so kindness, helpful and give us information about the area. The location was very convenient. Just 5 minutes away from the route to the airport. At a walking distance to all interesting points in the center. I recommend! My friend and I had a room with two beds, both were comfortable. We received fresh towels every day and the facilities were very clean - even the shared toilets and shower were spotless. The location was perfect and Jesus was so friendly and helpful. I would definitely recommend! The daily room cleaning--it was unexpected and appreciated! It was also quiet during our stay. Nothing, building very old and not clean. I no recommend the place. 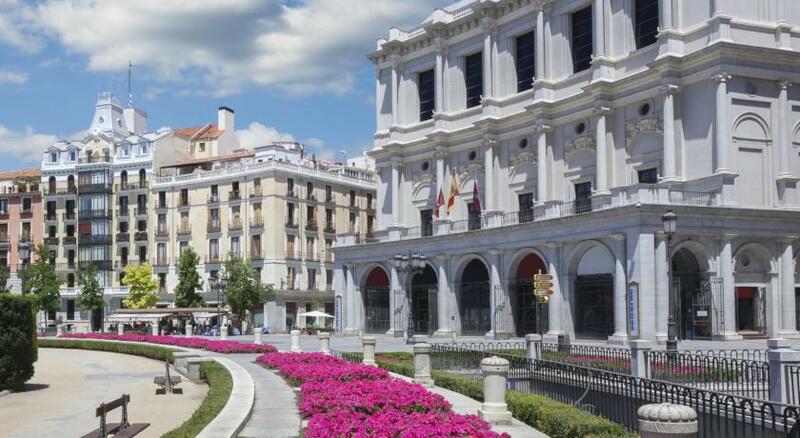 Positives: - great location next to the Place and Plaza España - guy on reception is really nice - room is big enough - bathroom decent All-in-all, good value for money, but it's not luxurious in anyway. The facility and location are great, I’m a woman and I was alone and I felt so safe. Jesus is a very very nice person he makes people to feel safe and secure also he is so helpful. I was able to park my car in a public parking around the corner for 6 euros a day. My car was very safe overnight. No charge for parkway by after 9 pm to 9 am. Overall this place and Jesus are great ! One of our best sellers in Madrid! 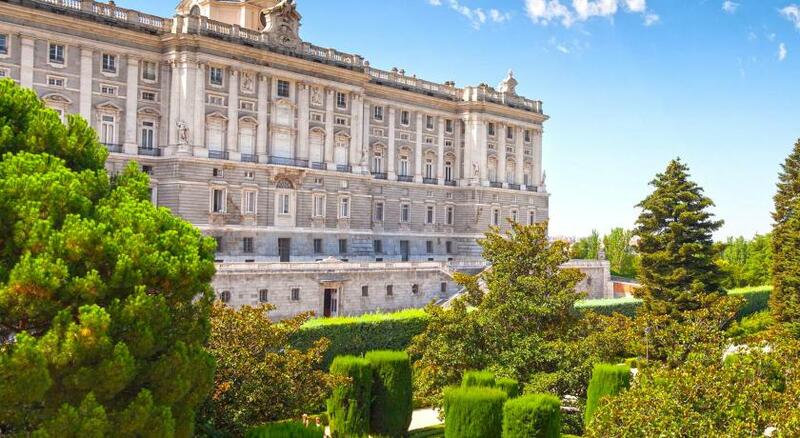 Hostal Arriaza is located in Madrid City Center, 350 feet from the Real Palace. It offers rooms with a TV and free WiFi. Decorated with warm colors, the rooms feature large windows, a private bathroom with a shower, heating, and a ceiling fan. Bed linen and towels are provided. Other facilities at Hostal Arriaza include a tour desk. The famous Plaza Mayor Square and Puerta del Sol are both within a 15-minute walk from Hostal Arriaza . 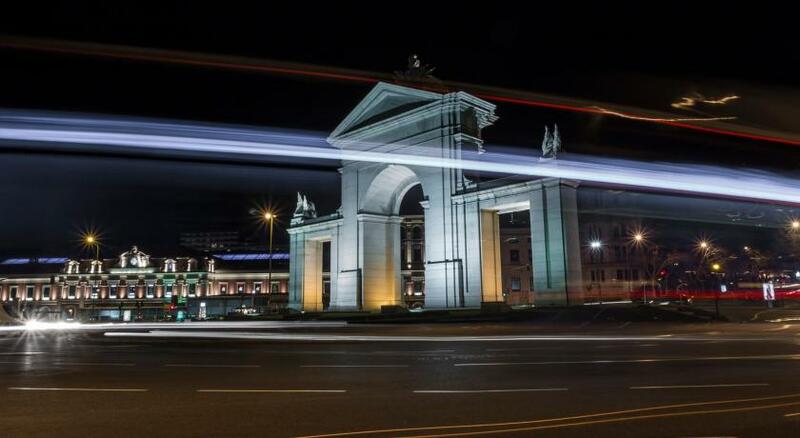 The Debod Temple and Plaza España Metro Station are within 350 feet of the property. The nearest airport is Adolfo Suarez Madrid-Barajas Airport, 8.7 mi away. Moncloa-Aravaca is a great choice for travelers interested in monuments, parks and sightseeing. 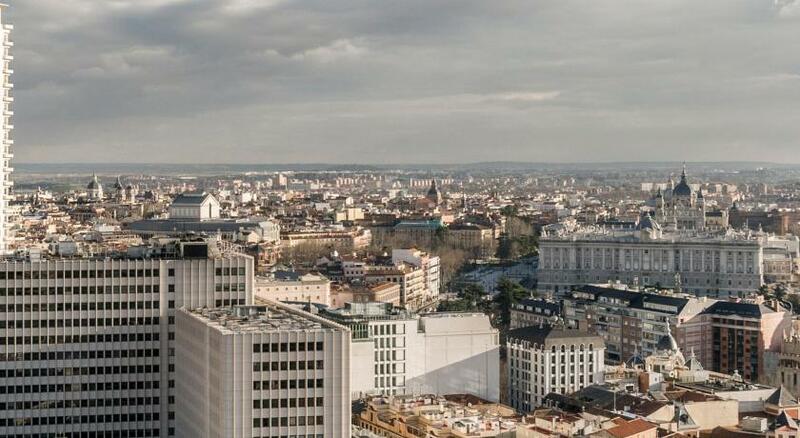 뀐 Located in the top-rated area in Madrid, this property has an excellent location score of 8.5! When would you like to stay at Hostal Arriaza? This double room has a balcony, cable TV and tile/marble floor. This twin room features two single beds. There is a balcony, patio and seating area. It comes with a private shower and gives access to a shared bathroom. This double room features a balcony, kitchenette and microwave. Area Info – This neighborhood is a great choice for travelers interested in monuments, parks and sightseeing – Check location Great location - show map Guests loved walking around the neighborhood! House Rules Hostal Arriaza takes special requests – add in the next step! Hostal Arriaza accepts these cards and reserves the right to temporarily hold an amount prior to arrival. I advise that I will be late but was closed and no answer. I had to look for another place. Negatives: - although reception was nice, he wasn't there for a lot of time and when I needed him in the morning to possibly leave my bag. I ended up paying much more money to store my bag elsewhere. Generally it is good location but some rooms can be dark (too little sun light) and sometimes you can feel a funny odour in the bathroom, but due to old pipes. Good location I was happy to have my shower in the room! the place is clean...but that's it! nothing more! The check-in was bad.. the host did not speak English, even though it was clear I speak no Spanish he still continued talking in Spanish and then translating to English. I did not get any map, any explanation of the area. Room is small and for those money I paid it was not worth it. In the room I could hear my next door neighbors talking, not very comfortable. Location is good, close to the the Royal palace. Heating or lack of it. Although there was a radiator in my room, it was off for the duration of my stay and there seemed to be no controls to switch it on. Woke up feeling cold, which was then accentuated by the tiled floor throughout. Shared bathroom was quite small. Great position just next to the Royal Palace and the Principe Pio train/bus station. Nothing. There’s no AC but it was fine with just an electric fan. I would definitely stay here again! 1. Location a. Very close to the train station. b. Very close to the main attractions especially the Real Madrid Palace. 2. Very clean & comfortable. 3. Friendly receptionist. 4. Nice hot & cold shower. 5. Lots of restaurants to eat at nearby. 6. Close to a shopping mall. The room was really big and so clean.